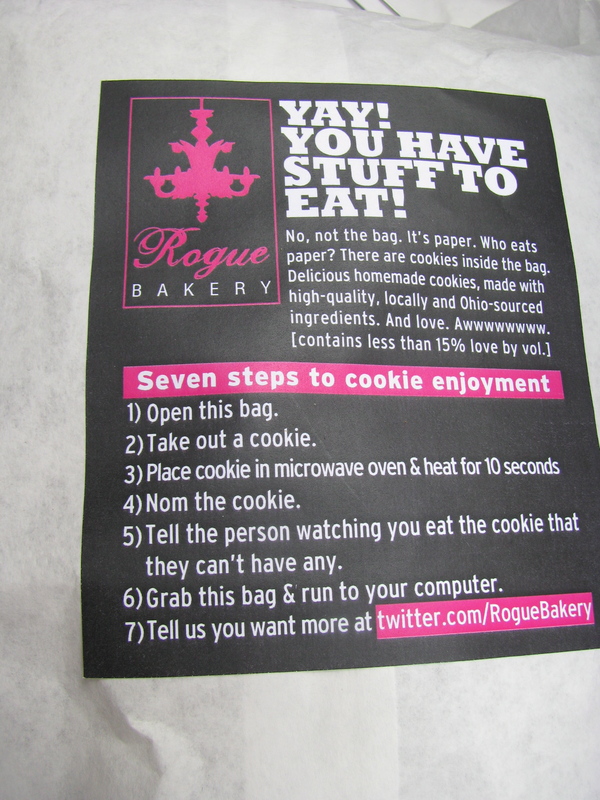 A reminder that the hungrywoolf blog is now housed at Columbus Food Adventures. We hope you will continue to read, comment and subscribe, Please update your rss reader. Here is a link to our latest post about Revolver, a wonderful restaurant in Findlay Ohio. It’s really exciting how much buzz there is about local food in Columbus at the moment: farmer’s markets, Edible Columbus, new restaurants committed to local sourcing like Skillet and Knead, field to table dinners and the cow to cone marketing at Jeni’s. We are lucky to live in an agricultural state and have so much wonderful fruit, vegetables, meat and dairy. This week is Local Foods Week, organized by Local Matters and there are more events than any one person could reasonably attend and a wealth of fun activities and dinners to choose from. 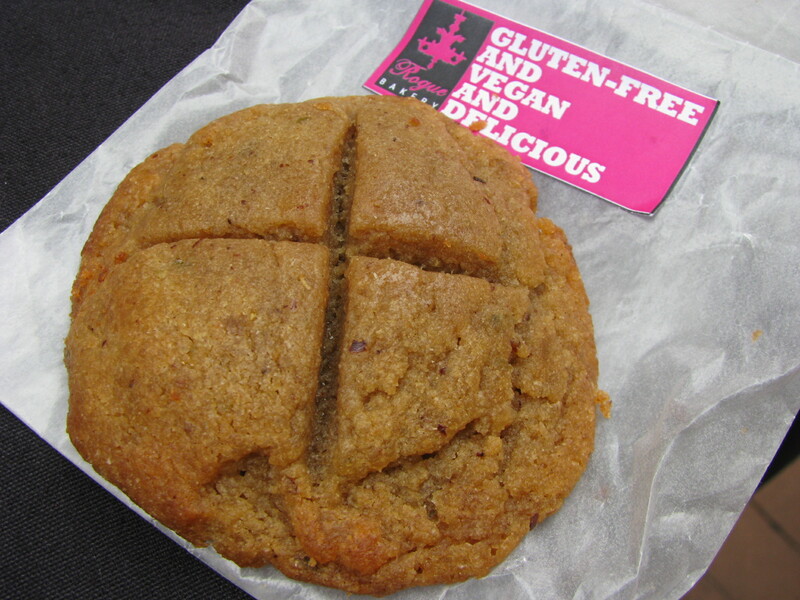 Last year’s Local Foods Week was a lot of fun, and this year’s line up is bigger and better. 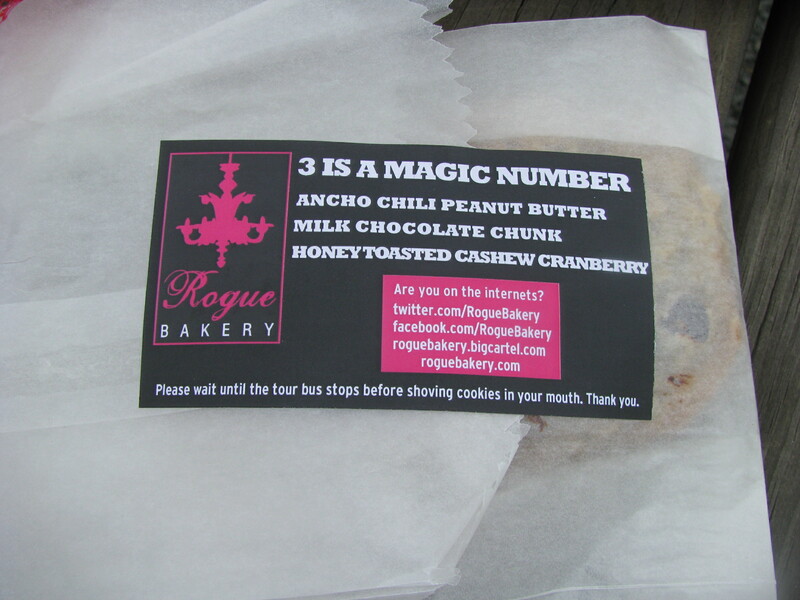 Our special Columbus Food Adventures Local Foods Week tour pretty much sold out within 24 hours. One of the focuses of this Local Foods Week is the Eat Local Challenge. 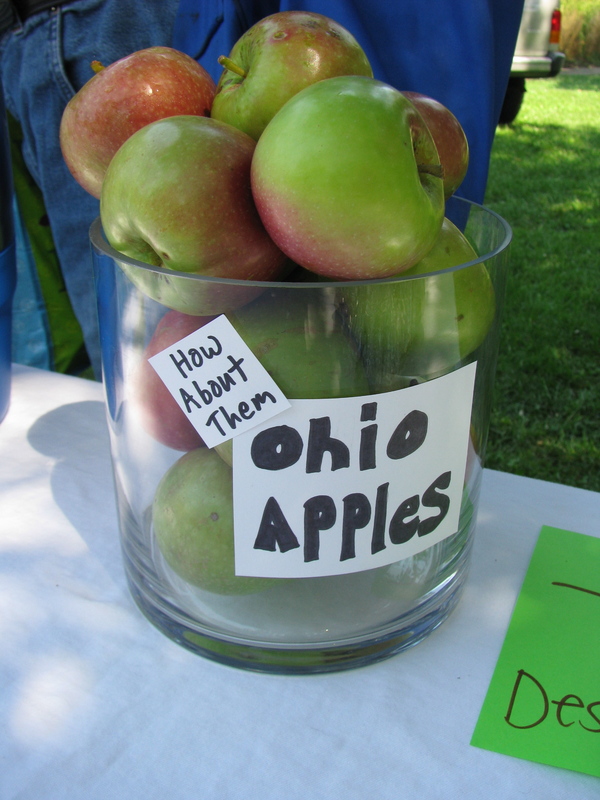 There are a number of different ways that you can pledge to eat local, but I hope that everyone will try at least one Ohio grown food this week, whether it’s one of the many varieties of local apples or a scoop of Jeni’s pumpkin ice cream. 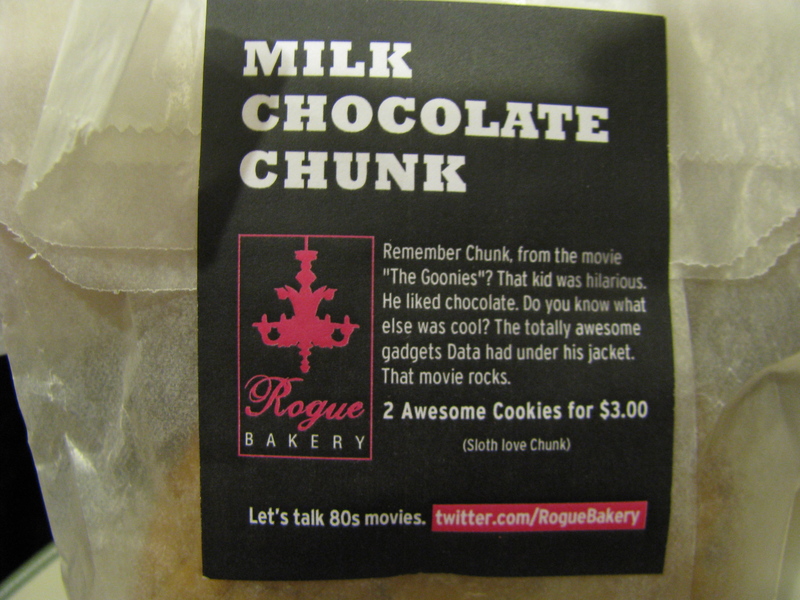 Last year’s theme was Localicious – this year’s is ‘OH so good’. 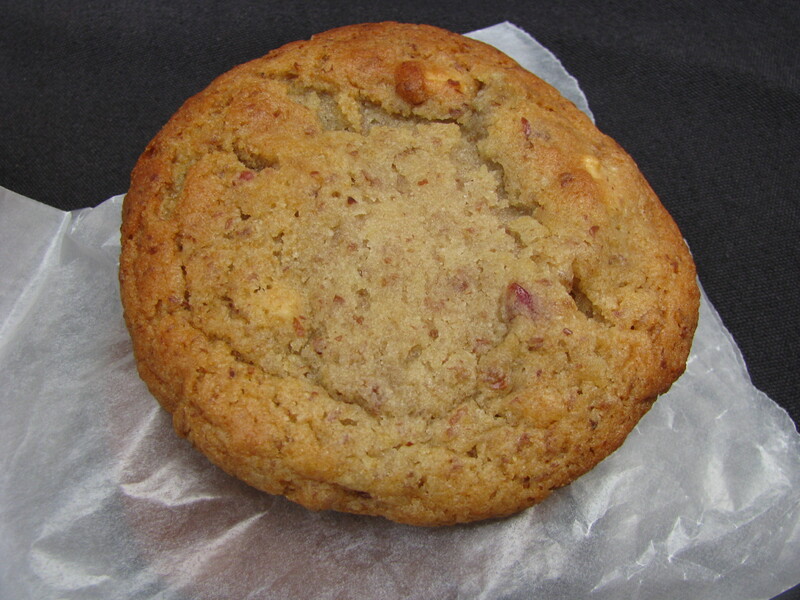 What local foods do you think are “OH so good’? I’d love to hear about your favorite local foods, and also what events you take part in this week. I’m starting the week off with my third market to market ride tomorrow morning. 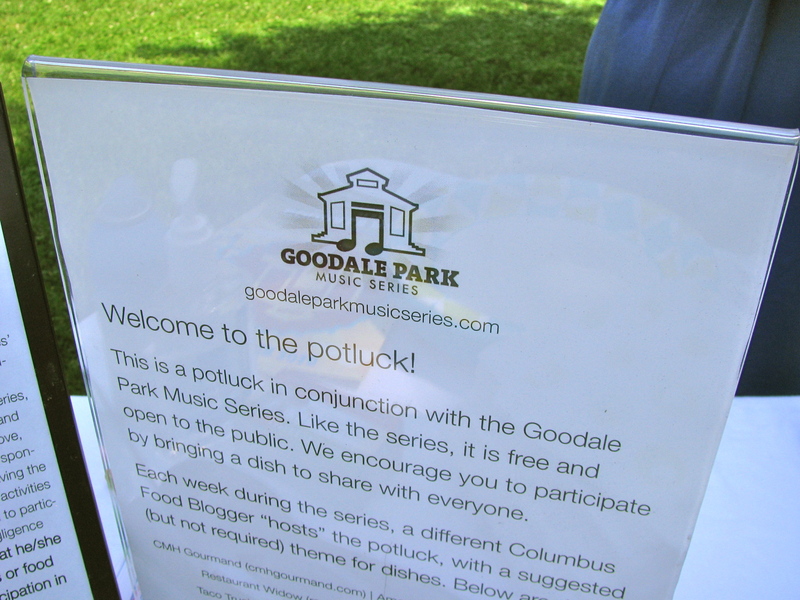 Last Sunday’s Grown in Ohio potluck for the Goodale Park Music Series was a big success. Three tables were packed with food showcasing the bounty of the Ohio harvest. From colorful beets to delicious peach desserts it was a tempting spread. Hungrywoolf was the host blog and I wanted to focus on fruits and vegetables that were at the peak of their season. I owe a big thank you to Wayward Seed Farm for generously donating some of their wonderful produce for the event. This is especially generous given the challenging season that they and many farmers have faced this year. Wayward Seed provided the corn, zucchini, cantaloupes and peaches and I was pleased to be able to share their beautiful produce with so many people. 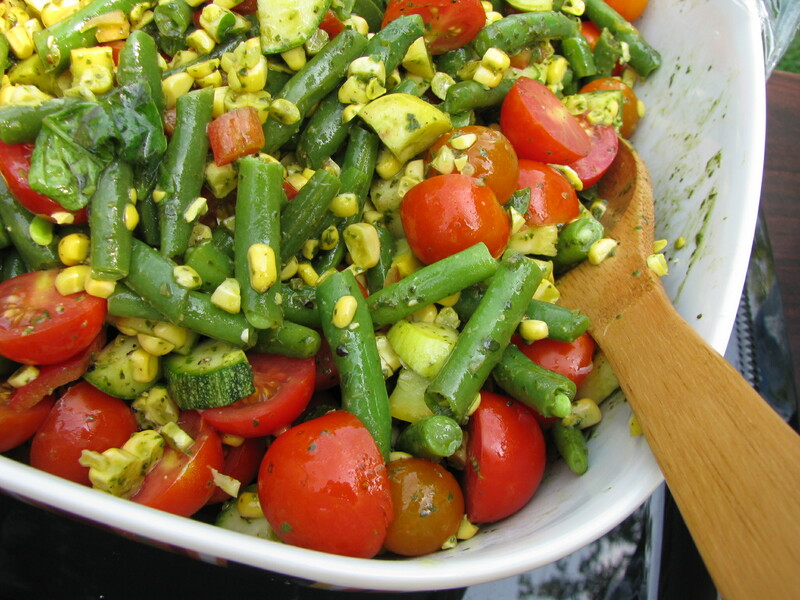 I used the corn and zucchini to make a big summery salad that screamed ‘grown in Ohio’ and supplemented the Wayward Seed produce with a few extra ingredients from Somerset Farm Herbs and Rhoads’ Farm (at the North Market Farmers’ Market). The dressing was olive oil, more basil, chive blossom vinegar and salt. 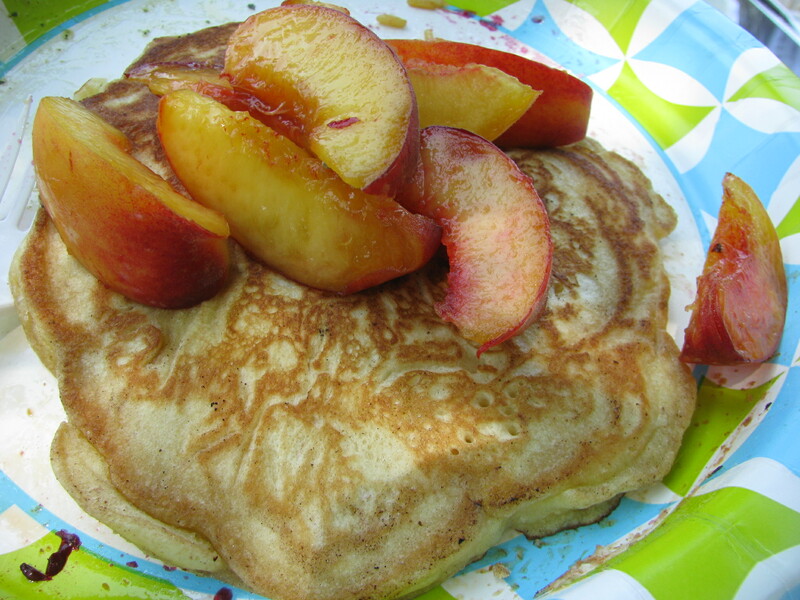 There was so much good food to try (including salty caramel brownies, peach salsa and a gorgeous ratatouille) but my highlight was probably the peach pancake topped with fresh peaches and cooked to order under a shady tree. Thanks to Alex, Jill and Lauren for organizing the potlucks and to everyone who brought delicious food to share. Here are some more photos from last weekend. But don’t worry if you missed last weekend’s fun, there are still two more concerts and potlucks in the series. This weekend is also the North Market Farmer’s festival so it’s another great chance to celebrate in our wonderful local produce. 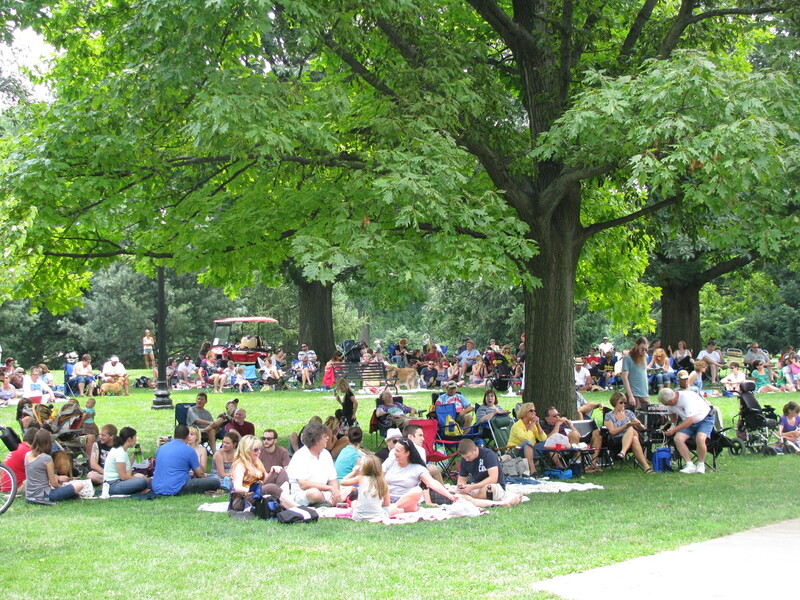 The Goodale Park Music Series is one of my favorite things about summer in Columbus. It’s a recipe for relaxing Sunday: great music, friends, running into people you know, sitting under a shady tree, people watching and enjoying a picnic lunch. 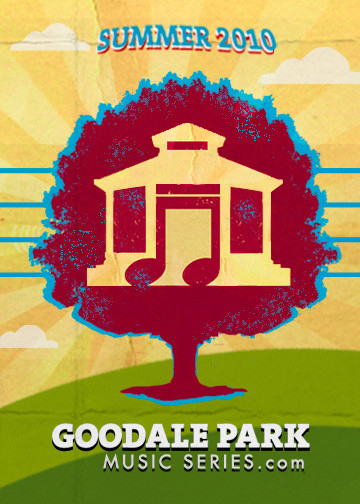 This summer the Goodale Park Music Series also features a community potluck. Each week is hosted by a local food blog and has a theme to reflect the music. This week the band is Columbus favorite The Spikedrivers and Hungrywoolf is the food blog sponsoring the potluck. Our theme is grown in Ohio. It’s a perfect time for us to bask in the glory of Ohio’s bountiful harvest and to be grateful for our farmers and our gardens. I’m sure the farmers’ markets will be bursting with color and flavor over the next few days providing lots of inspiration. 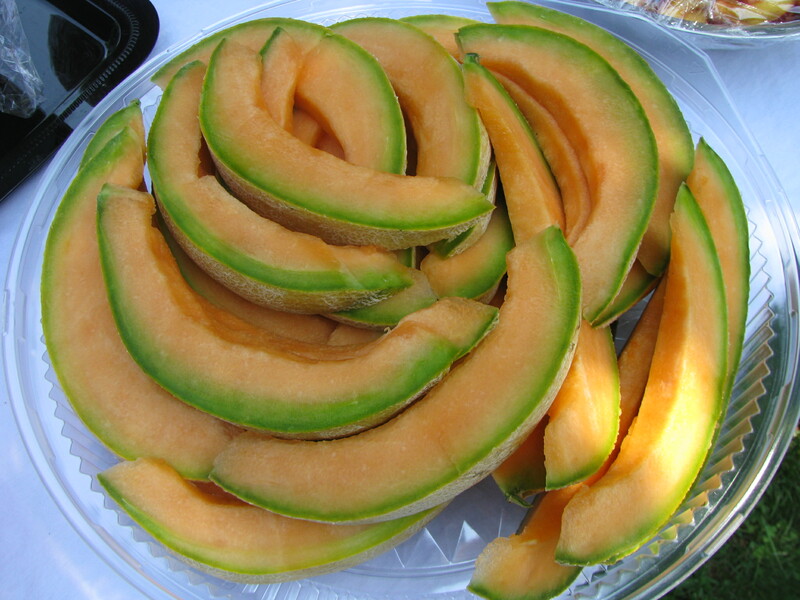 I will be making some fruit and vegetable dishes with produce from Wayward Seed farm. 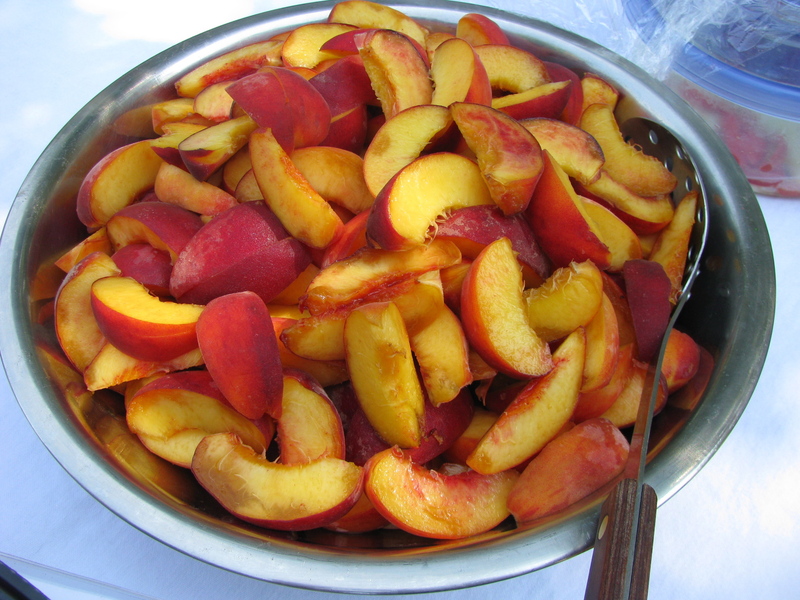 At the moment it looks like it will be a corn and zucchini salad and a bowl of fruit salad or sliced peaches. I hope you will be able to join us at the potluck (and if you do, please come and say hi.) Bring a dish to share, your own drinks and a plate and fork. Potluck starts around noon. The Music starts at 12.30pm. Here is the Facebook event page. The two local talents featured were Chef Michael Kimura of Kihachi, and Gary Robinette “the MacGyver of Pizza” from Clever Crow. Kihachi, far from being in the middle of nowhere, Mr Bourdain, is found very close to 270 and Sawmill, tucked in a strip mall at Federated Boulevard. 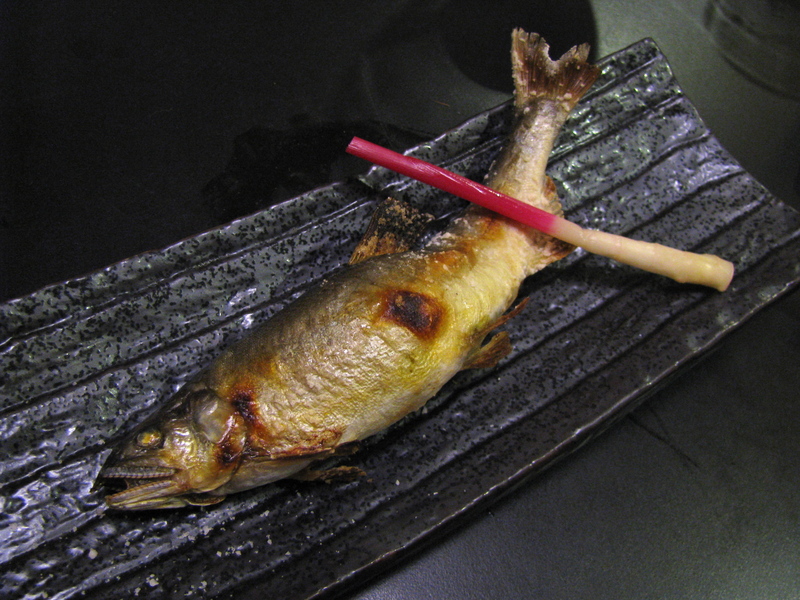 Anyone who reads alt.eats, knows that I am a fan of obscure restaurants in strip malls and Kihachi is one of many that are worth seeking out. Kihachi is one of the most authentic Japanese restaurants in Columbus. It is also one of the best restaurants in Columbus and so it was no surprise that Bourdain gushed about the food. Coincidentally I went to Kihachi for dinner later on the very same evening that Bourdain was there. 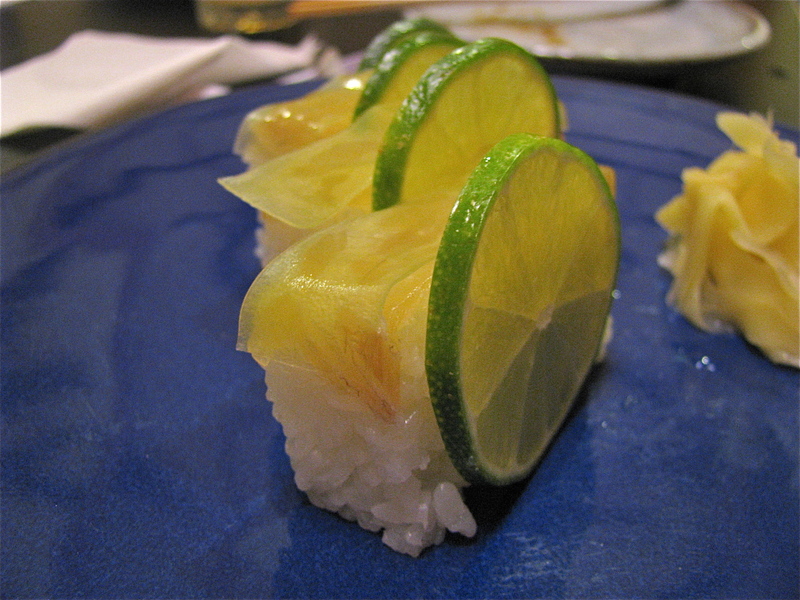 You can read about that dinner, and several previous Kihachi dinners on this blog. The photos in this post are from my most recent meal there, and one that I have thus far neglected to blog about. On that visit we ordered from the menu, choosing mostly from the exceptional daily specials. Clever Crow, working out of the kitchen at the Circus Bar, had only been open a few weeks before Bourdain’s crew came to town, but it has received accolades from day one. It’s pizza but not as you know it, so put your pizza preconceptions aside before you try it. 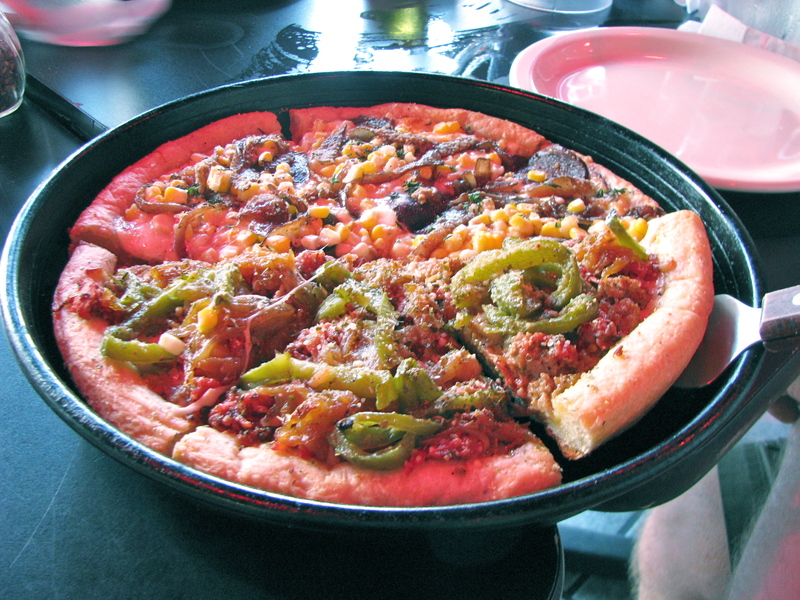 Its distinctions include the crispy yet thick cornmeal and 200-year-old sourdough base, the housemade sausage and pepperoni, the unusual and creative flavor combinations and the sheer weight of toppings. It amazes me how the crust manages to stay crisp and firm even when loaded down with cheese and sausage. Gary places an emphasis on local and seasonal ingredients and offers weekly specials such as the Greek: Mozzarella, Roasted Red Pepper, Kalamata Olive Tapenade, Feta and Fresh Rosemary. 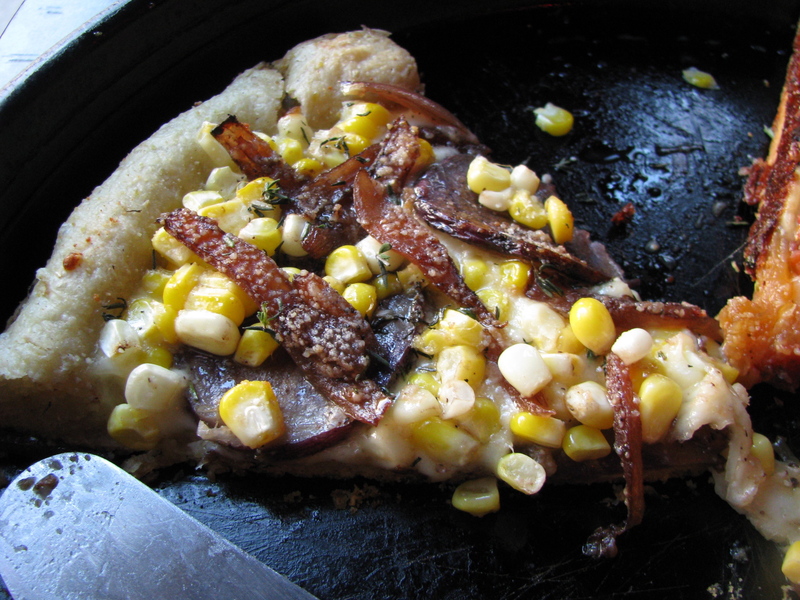 My current favorite (pictured above) is the corn pizza with lots of cheese, sweetcorn, purple (yes, purple) potatoes and caramelized onions. You can order full or half pizzas or just a slice, or you can get two different halves in the same pan, which is what we usually do. Half a pizza is really filling. The only downside of this great-artisinal-made-to-order-thick-crusted pizza, is that it isn’t quick to make. 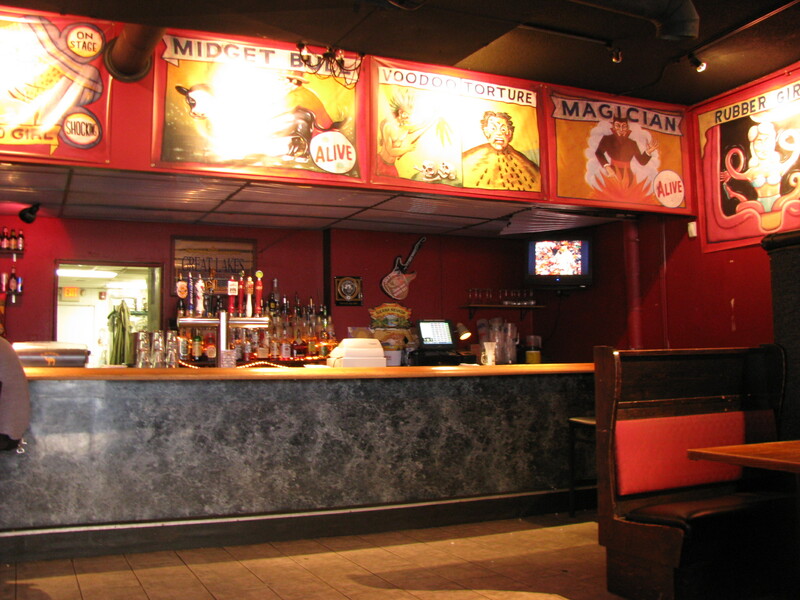 Luckily it’s located in a bar, so take some friends and plan on drinking a couple of beers while you wait. This is definitely not fast food.